SAN FRANCISCO – Cafeteria-style service, glass-enclosed serving stations, hand-carved mouthwatering meats, fun side dishes just waiting to be scooped up, and loads of beer and cocktails…what’s not to love? Known as the hofbrau, this American take on the German pub peaked in popularity back in the 70’s but nowadays you’d be hard pressed to find one in today’s foodie-crazed, culinary world. So, where can one find a decent hofbrau? Well, one of my favorites is in San Francisco, where apparently this sort of restaurant was all the rage at one point. It’s called Tommy’s Joynt (located at the corner of Van Ness Avenue and Geary Boulevard) and, as far as classic hofbraus go, this one is about as old school as it gets. It’s been around forever (since the late 1940s, actually) and hasn’t changed all that much since that time. In fact, except for that ATM in the corner, it looks pretty much the same as it did back in the day. The service is still cafeteria-style, the glass-enclosed serving stations are still there all shiny and bright, and all that old style décor – hand-painted wall menus, vintage photos, and random signs – still adorns the walls, creating a feeling of another era. As for the food, the headliners are still the hard carved sandwiches (at $6 a pop not a bad deal), which come with your choice of meat (Roast Beef, BBQ Brisket, Corned Beef, Pastrami, Ham or Turkey) served au jobs on a sourdough roll. You’ll also find daily specials, which include such meat classics as braised oxtail over pasta, beef ribs with mashed potatoes, and their renowned buffalo stew. Side dishes are also popular at Tommy’s and the list is a veritable who’s who of side dishes from the 1950’s: tossed greens, potato salad, pickled beets, cole-slaw, macaroni salad, bean salad, mixed vegetables, tomato and onion, and (the rather exotic sounding) marinated mushrooms. And then there’s the booze. 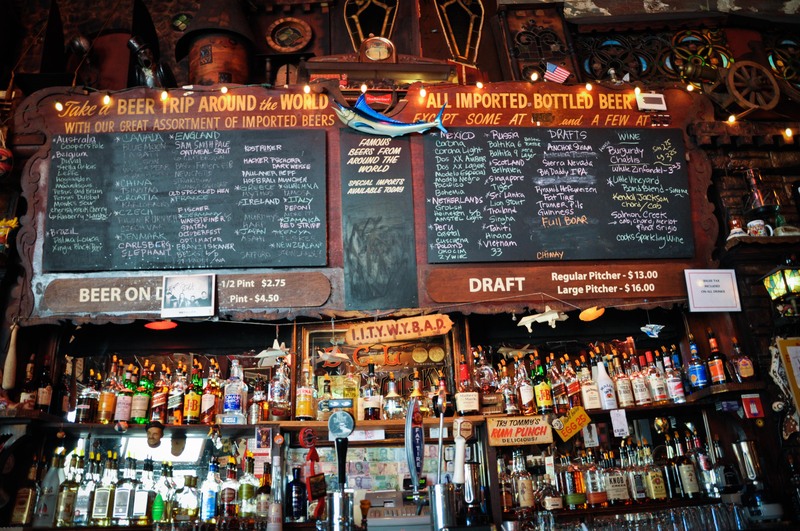 Tommy’s Joynt claims to serve over a hundred different types of beer – their wall menu even urges customers to “take a beer trip around the world” and their range of draught beers can be had in various, attractively priced quantities: half pints, pints (priced at $4.50 tax included), and regular and large pitchers. Cocktails also run the gamut and include a few originals as well – try their Jamocha Coffee, a play on the Irish Coffee that uses Jamaican rum instead of whiskey. While the hofbrau may not be for everyone, I just love them. 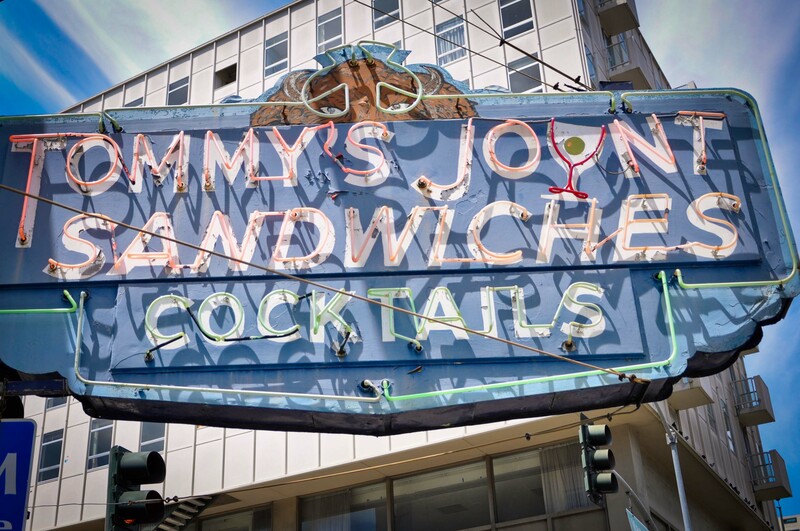 And Tommy’s Joynt is one of the best. 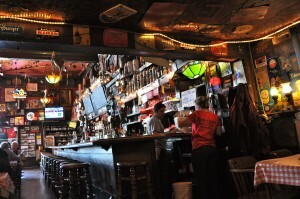 Its simple, down-to-earth food and old school hofbrau atmosphere keeps me coming back. 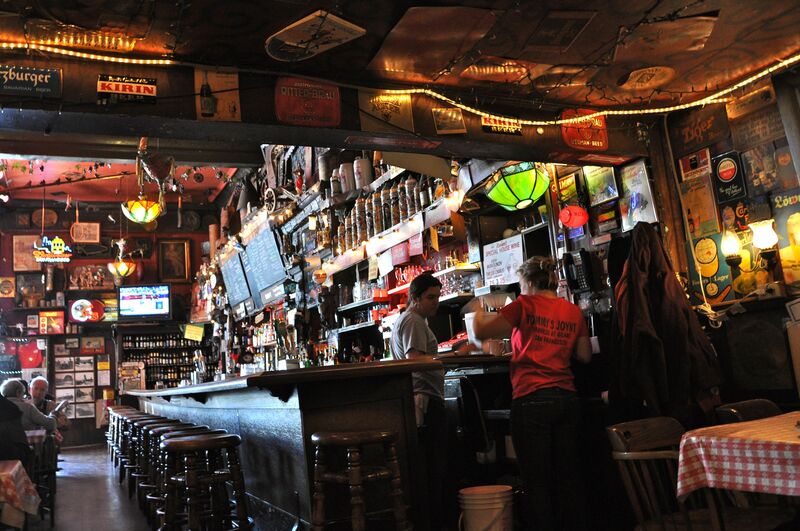 What’s the little thing that makes Tommy’s Joynt worthwhile? 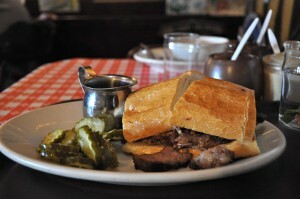 Their BBQ brisket sandwich with a pint of pale ale, while surrounded by all that old-style hofbrau-ness.